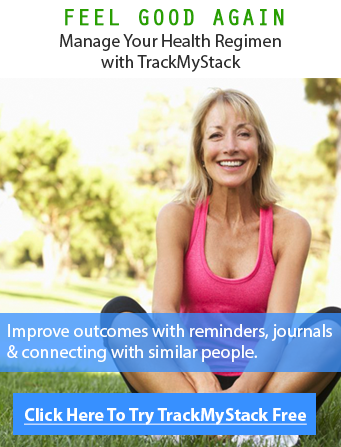 TrackMyStack is slowly morphing in it’s abilities to track everything you may need to, to feel your optimal self. The newest feature we have been working on diligently is a nutrient tracker. 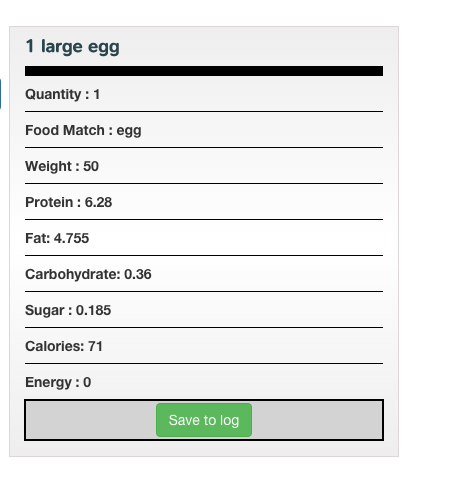 Our platform will help you keep a log of your nutrition, and count your daily intake of calories, fat, protein and carbs. 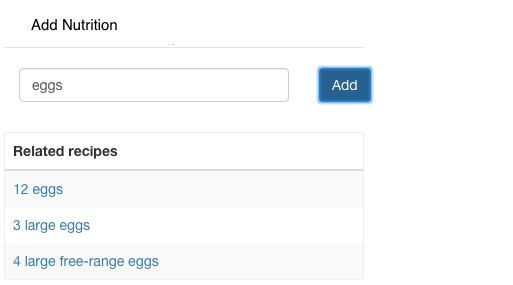 We intelligently plug into a database of food recipes/nutrition database so for many items of food you are not required to enter any values. Below is a breakdown of everything this nutrition software will help you do. Daily Nutrition Tracker – you can log as many entries as you need to daily, just enter a food and we do our best to guess what you are talking about and try to pre-populate the macronutrients. Soon we will allow you to mark each entry as “clean”, “gluten free”, “grass fed”, etc. as well. Free Nutrition Software – best of all, all of these features are available to you free of charge even with a basic account, however previewing graphs of food requires a Pro account. Discover Triggers – now you can cross reference your diet to your mood, medicine intake, symptoms, and pain. Additionally you can track your exercise, and symptoms, mood and sleep as well. Step 1. Quickly enter any food item that you have consumed and want to log. This is the first step in recording your nutrition daily. Step 2. A list of most common entries will be provided where you may quickly choose one or continue to add your own original nutrient values. Step 3. Once a food is selected, all nutritional values for that food are automatically presented to you, making tracking nutrition that much easier. You are free to edit and add weight, protein, sugar, calories, fat, and carbs. Step 4. You may add multiple items in one journal check-in. 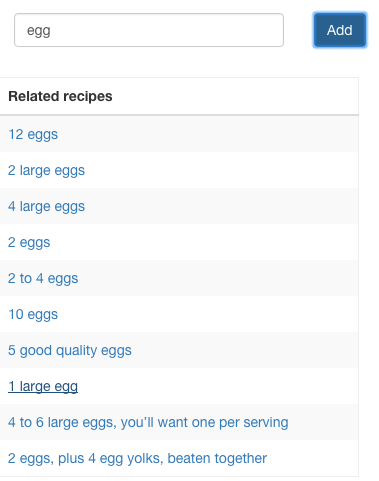 In this example we added bacon and eggs. Any values at this point can not be edited but deleted only. As more users use our software we will build up a more comprehensive database of foods available to be tracked. The Final Step. After your entries have been made and you have added the right calories and adjusted your totals, you can view it on your stack page. Additionally by the time you read this we should also have graphing capabilities where you can view your intake over time and find patterns that may emerge that may help you maintain a balanced diet. Counting your calories, and keeping a nutrition log online has many other benefits such as being able to log the entries from wherever you are via your phone. Proper nutrition tracking will help you either lose weight, eat healthy, or gain muscle, depending on your goal. The benefit of using our app over the countless others such as myfitnesspal for example is that health & wellness is a bit more than tracking your calories, the data that can be analyzed using the various other trackers we have truly gives you a complete picture of your health. Being able to see what other’s are doing for their health goal, viewing their reports, ability to see which supplements work and do not (backed by science), adding symptoms and conditions and the ability to set-up reminders (adherence notifications, caregiver notifications) are just a few of the countless things we do that other tracker can’t. The fact that we go above and beyond in what you can track but don’t explicitly require all the data is what we think makes us the best weight loss app or calorie calculator out there. To get started using our nutrient counter for free, you can create a stack here, it is free to signup and get started. If you have any other questions on how to track nutrition or any feature requests, feel free to contact us. What are the Best Racetams?